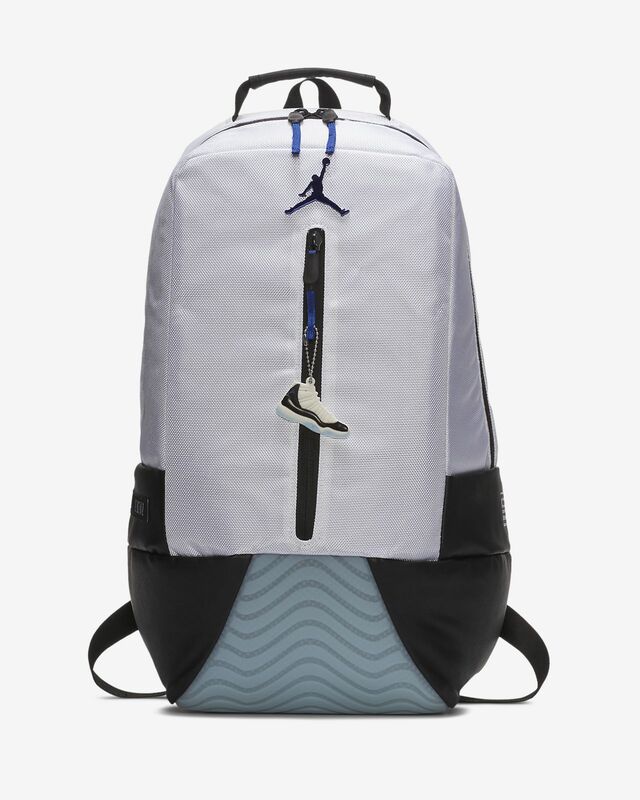 Featuring signature details from the AJ11 sneaker, the Jordan Retro 11 Backpack offers ample storage space with a padded laptop sleeve and a separate shoe compartment. RETRO STYLE FOR STORAGE ON-THE-GO. Textured base recalls the classic Air Jordan 11 soles. Zippered side compartment stores shoes up to size 15. 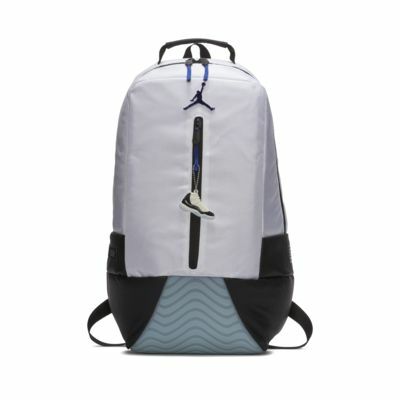 This is a well-made backpack. Pretty heavy duty as far as material goes. The pocket inside is nice for an ipad. The reason for 4 stars and not 5 is that it is a little small. I got it for my son to use for school and he can't fit many binders/notebooks in it. Forget trying to fit a lunch, too. Also, there is only one pocket (on the back with the silly sneaker zipper pull). I am used to having side pockets to shove a water in on his way out the door. He thinks the metallic icon is cool and overall he likes the backpack (He's 17) but would agree it could be a little larger and fit more.